This training requirement is already in force in Cook County, Champaign County, DuPage County, Kane County, Lake County, Madison County, McHenry County, St. Clair County, Will County, Winnebago County. Our 100% online BASSET certification program is approved by the Illinois Liquor Control Commission. *Official certificate will be mailed by the Illinois Liquor Control Commission upon successful completion of the course. Get your official BASSET certificate in the mail! Our BASSET certification program is approved by the Illinois Liquor Control Commission and can be completed 100% online. An online training program is the most convenient option to get your BASSET certificate quickly and easily. At the end of the training, there will be a final exam (40 questions). You will be required to pass the exam with at least 70% to obtain your BASSET certification. Once you have successfully passed the final exam, you will be able to download a temporary certificate of completion, which will be valid until you receive the official BASSET certificate in the mail from the Illinois Liquor Control Commission shortly after. The certification program is 4 hours long, including the final exam. 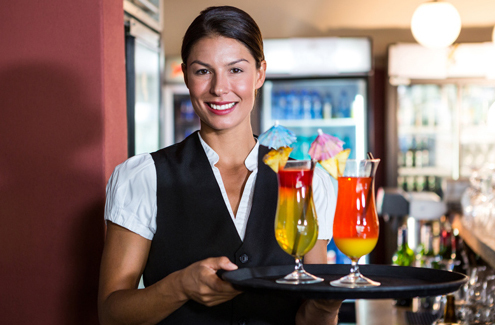 Who is required to take the BASSET (Beverage Alcohol Sellers and Servers Education and Training) Program? According to Public Act 099-0046, all alcohols servers in Illinois are required to complete a BASSET certification program by a certain date. These deadlines have been determined according to population size. Training requirement is already in effect in the following counties: Cook County, Champaign County, DuPage County, Kane County, Lake County, Madison County, McHenry County, St. Clair County, Will County, and Winnebago County. To see a full calendar of training deadlines by county, please click here. When does the BASSET training need to be completed? Training must be completed within 30 days of beginning of employment. Your BASSET certificate will be valid for 3 years. A score of at least 70% on the final exam is required to obtain a BASSET certificate. • Group discount is only applicable when BASSET training is purchased together at the same time. • If you are buying more than one license you will be the Administrator for the account. This allows you to assign the licenses to other trainees after you have paid and logged into your administrator account.